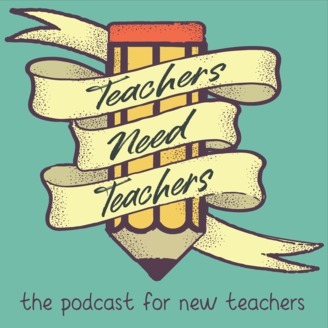 Teachers Need Teachers is the podcast for new and beginning teachers. It's inspired by the questions beginning teachers are asking around the web, plus the questions that you didn’t know you should ask! I'll help you clear the confusion and figure out what to focus on so that you’ll have the most positive impact in your classrooms without losing your freaking mind. I want to help you navigate through those crazy first years of teaching while maintaining your sanity AND personal life! So you've sent in your resume, and finally got a call for an interview. AWESOME! You put on your most professional-looking outfit, walk in tall, shake hands firmly, and finally sit down for those questions. But what if you don't know the answer to a question? What should you say? Should you lie? What if you said, "I don't know?" Would you look like an idiot? Rob Fulk asks me some compelling interview questions that I wasn't necessarily ready for (but did my best to think on the fly), and he gives advice to new teachers on how to answer difficult questions. What do you know about our school? What’s more important to education in the success of our students - tradition or innovation? Defend your answer. What perspectives outside of a Euro-centric curriculum can you bring to our classrooms? Can you give me specific examples in an ELA classroom of literature you would bring in from a non-Euro perspective? What specific supports are you going to need to be successful in our building? What are your expectations of a team/PLC, and how do you uphold your expectations of your team/PLC? If you have a moment this week, please complete this Google Form. This will help me know if it’s worth the time to create it, as well as what you think I should include. If you complete the form and leave your email, then if I create it, you’ll be invited to beta test it and make it better! Don't forget to leave a voicemail! Let your voice be heard! 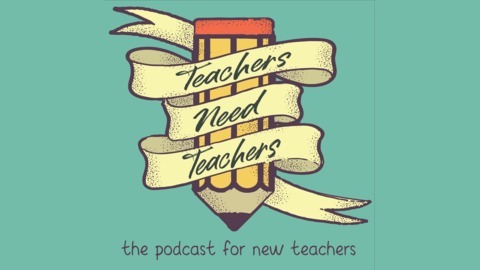 Click here how to find out how you can be a part of the podcast by telling us your favorite parts of teaching! Listeners who leave a voicemail will be eligible to receive a FREE Teachers Need Teachers sticker! Click HERE to find out more! Got questions, feedback, or want to be on the show? TnT 53 JOB INTERVIEW SERIES: Don't forget to do your research before an interview!